No matter what physical ailment you're suffering with, our Massage Therapists her at Elevate are here to help. Why Should You Have a Massage With One Of Our Practitioners? If you're looking for a natural way to improve your health & wellbeing or reduce your stress, then we here at Elevate are the ones to call. Providing a range of relaxation and remedial massage treatments, our practitioners can use their skills to help you get back to your best health. As sessions are tailored to your individual needs and personal preferences, people of all ages can benefit from organising a session with one of our trained therapists. With regular sessions making a valuable addition to any wellbeing program, why wouldn't you give us a call today, organise your next appointment and discover the benefits for yourself. Call us on 02 9252 2225 to organise your next Massage Treatment. Which Massage Treatments Are Available? Gentle enough to be used by people of all ages, these massage treatments are just what you need to get your body back to its best health. To find out more about the massages we provide just click here or give us a call on the number above to talk to us instantly. For more information about any of the professional Massage Treatments that are available or to book in your next appointment with one of our therapists, just give us a call or send us a message instantly by clicking on the 'Make an Enquiry' button below. 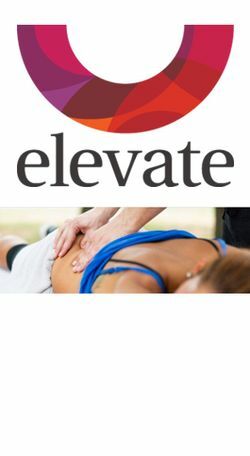 About Elevate Welcome to our Sydney CBD Integrative Medical and Health Clinic. Purpose built to make living a healthier happier life easier to achieve.